Member Leslie Trujillo-Batts sold a painting at the Sangre De Cristo show, came away with the Best of Show Award, PLUS, after viewing Leslie’s artwork at that venue, Adrienne Belafonte Biesemeyer (daughter of Harry Belafonte) recommended that Leslie apply for an exhibition at the National Museum for Women in the Arts in Washington D.C. Consequently, Leslie is currently working on building a required body of work to fulfill application criteria for the exhibition and she hopes for completion by next January. Congratulations to Leslie for this recognition. View her work at latbfineart.com. 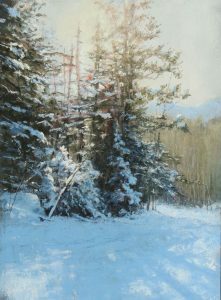 Member Becky Johnson has had a painting juried into the 2019 IAPS (International Association of Pastel Societies) Convention exhibition this summer in Alberquerque, NM, June 4 – 9. This is a very prestigious show that is held every 2 years with top-notch artists from around the world. Congratulations to you, Becky! View Becky’s work at beckyjohnsonpastels.com. 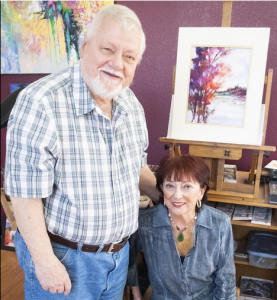 Members Fran Dodd and George Hart, both of West Pueblo, were featured in an article titled “The pure pigment of pastels”, in the Pueblo West View. You can read the article here.